Vijaya Lakshmi Emani, born in Kurnool, was the daughter of Indurani and G.Venkataramana Reddy. She was known to us as a spitfire, but came from a more modest and quiet beginning. As a young woman in India, she was awarded top merits at every level of her education while maintaining her youthful jovial personality. She graduated in 1980 from Osmania University with a B.S. in Electronics and Communications Engineering and made her way to the United States in 1986. She received her M.S. in Computer Science from Cleveland State University. She overcame personal struggles in a divorce and raised two daughters, Sujata and Nirmala, with the help of her Mother. 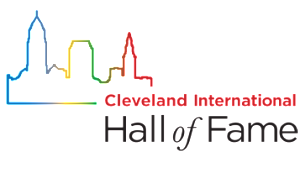 Vijaya was a dedicated civic leader, striving to promote excellence within the Cleveland community. Vijaya came to the forefront of the Indian Community first working with the Northeast Ohio Telugu Association, then with FICA, and more recently with the Greater Cleveland Asian Community. Despite the adversity that she had faced in life, Vijaya overcame them with the dignity and poise of any great leader. Vijaya was involved in a number of organizations working as an ambassador of cultural awareness and community. Through her presidency with the Federation of India Community Associations she has opened avenue for people who struggled like her, initiating single parent support groups and opened a discussion about immigrant domestic violence. 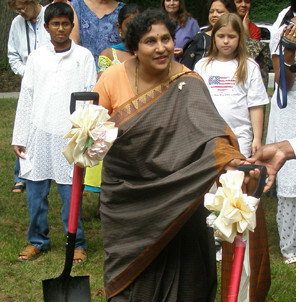 Vijaya worked diligently to help set up the India Cultural Garden in 2002, leading to the groundbreaking of the India Garden in 2005 and the installation of the Gandhi statue in 2006. Vijaya was tragically struck and killed in 2009 by a tractor-trailer as she stood along the Turnpike in Portage County after her car became disabled. She was an advocate of women’s empowerment and community involvement, a single parent and Caregiver to her two daughters and mother, a Civic Leader to one of the largest minorities in the city of Cleveland, an Educator to those who sought her help, a friend to many, and a hero to the community.